Is there hope for more In the Flesh? Recently, creator Dominic Mitchell proposed a wrapup special for the cancelled BBC series, Den of Geek reports. The supernatural drama, which aired on BBC Americain the U.S., followed Kieren Walker (Luke Newberry), a dead teenager who is re-animated as a zombie and then reintroduced into society. The cast also included Emily Bevan, Emmett J. Scanlan, Wunmi Mosaku, and Ricky Tomlinson. The show only ran for two seasons before the BBC cancelled it in 2015. 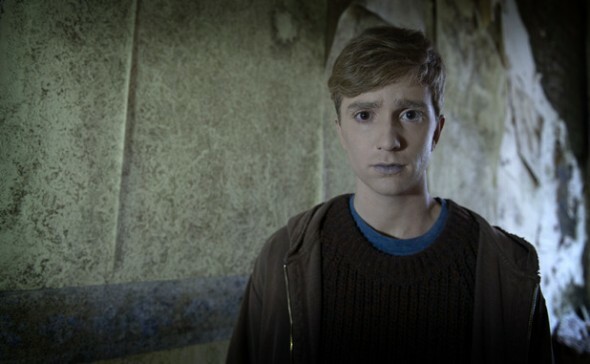 Would fans of #InTheFlesh like a 90 minute special? What do you think? Have you seen In the Flesh? Would you watch a wrapup special? More about: BBC America TV shows: canceled or renewed?, In the Flesh, In the Flesh: canceled or renewed? Yes!!!! At least give the fans a finale!! I enjoyed the first season, but lost interest in the second and would not watch any kind of wrapup. Yes! Give us a wrap-up of any length and we’ll be grateful forever!